Let's Be The Change began 4 years ago rights after we finished 12th. Since it's advent, the members have strived to make our surroundings a better place to live in. 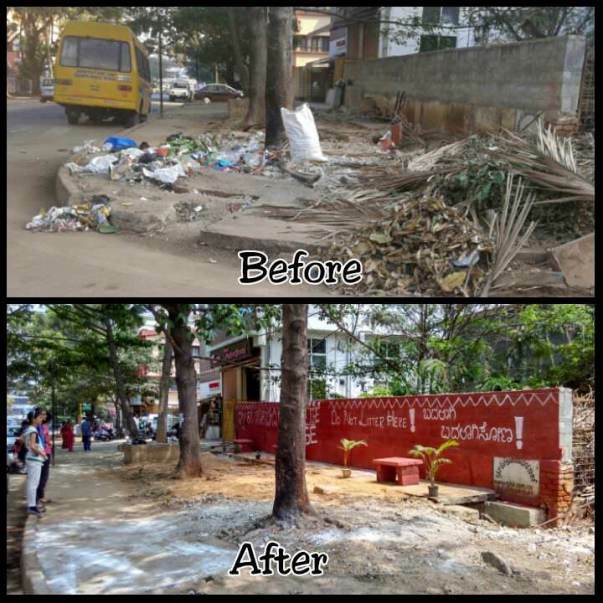 We have fixed more than 250 garbage dumps spanning over the stretch of 20,000 metres with the help of 2000+ people who are willing to make our environment more sustainable. The sight of from a garbage and the stench from it are unpleasant. 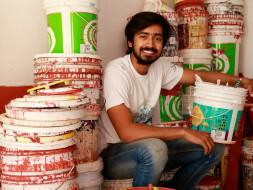 In addition to that, they can cause potential health hazards. In a country like ours, where improper garbage disposal is rampant, a group of passionate 22 year olds are working relentlessly to completely eradicate this problem. 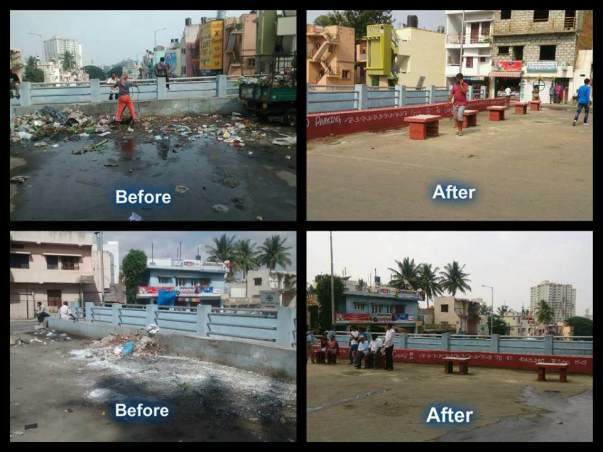 1) Biggest Cleanathon in Majestic Bus Stand on 2nd October 2016- It was a massive cleanliness and beautification drive in Majestic Bus Stand with over 500 volunteers. It was inaugurated by Member of Parliament, Mr. P C Mohan. 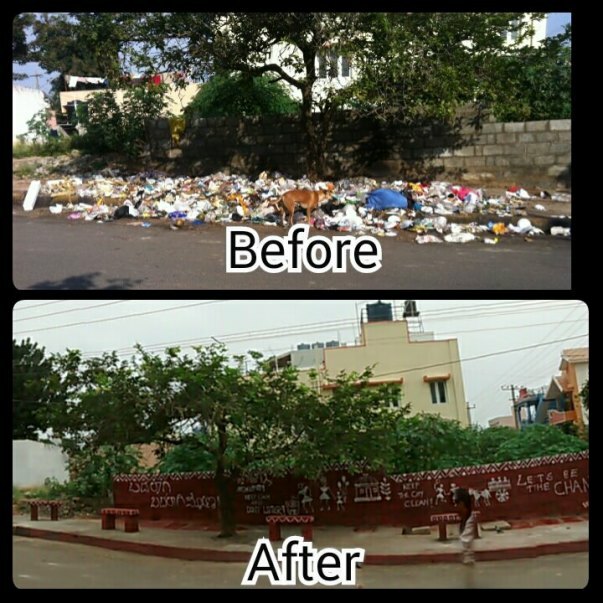 2) Mega Cleanathon on 2nd October 2017- It was across 72 wards involving more than 1500 people, where each ward had a team of 20/30 volunteers cleaning and beautifying a garbage dumb with the Municipal Corporation (BBMP). 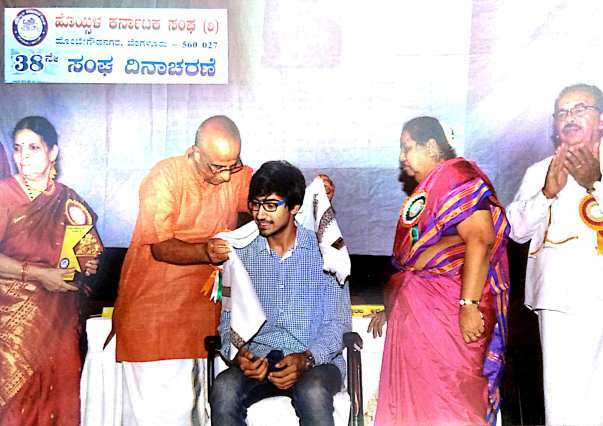 This event was inaugurated by Rajiv Chandrashekar, Member of Parliament. 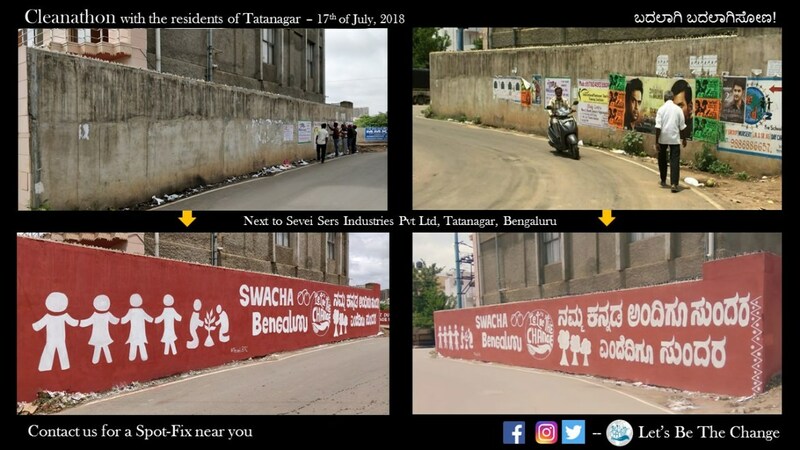 We have received numerous prestigious awards like the Namma Bengaluru Rising Star of 2015, National Yuva Chetana Award 2017 (Warrior of Change), Yuva Chetana Award 2014 and many more. 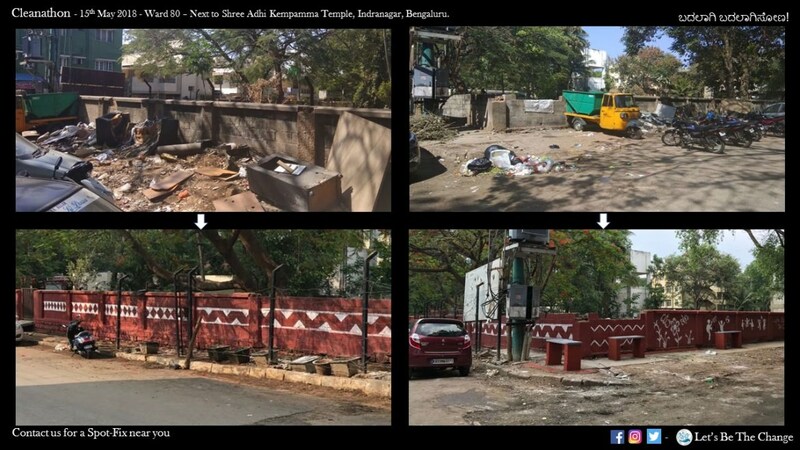 With limited resources, we have been able to achieve amazing results and we are confident that Bangalore will be free from Garbage dump when NGOs, residents and Government work in synergy- We have big ideas and initiatives for permanent solutions to this problem and we need YOUR help! 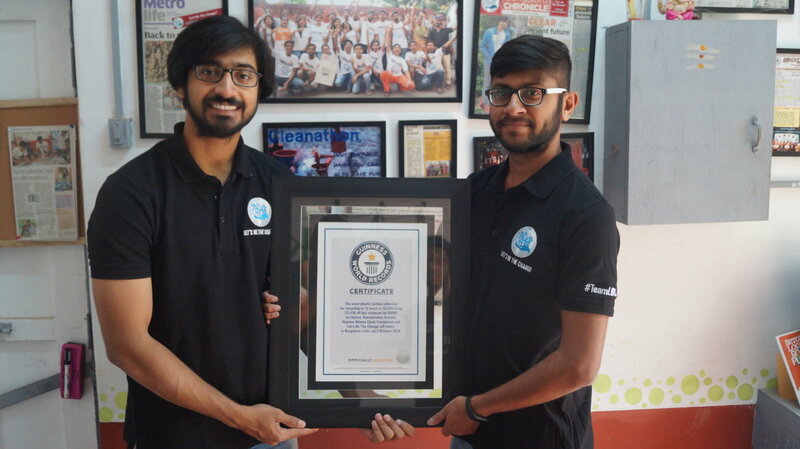 Happy to inform you all that our event "Bengaluru Plog Run" which was organised on the 2nd of October, 2018, made it to the Guinness World Records. We collected 33,355.55 kgs of plastic bottles in less than 12 hours and sent it for recycling. A big shout out to all our supporters, partners, volunteers, participants, and you. 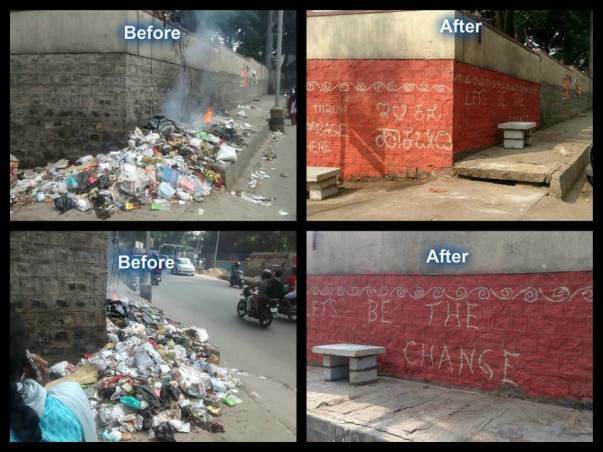 We thank each and everyone of you for your contribution towards making Bengaluru and cleaner and greener city. 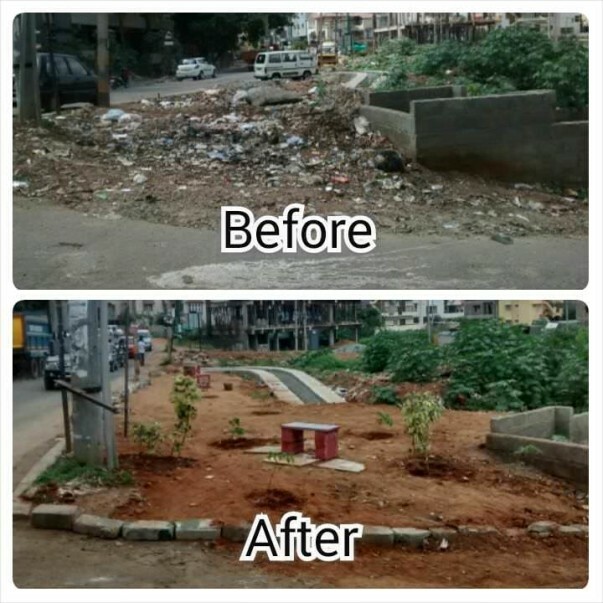 We have now started beautifying the garbage dump lands into a playground using reusable materials. 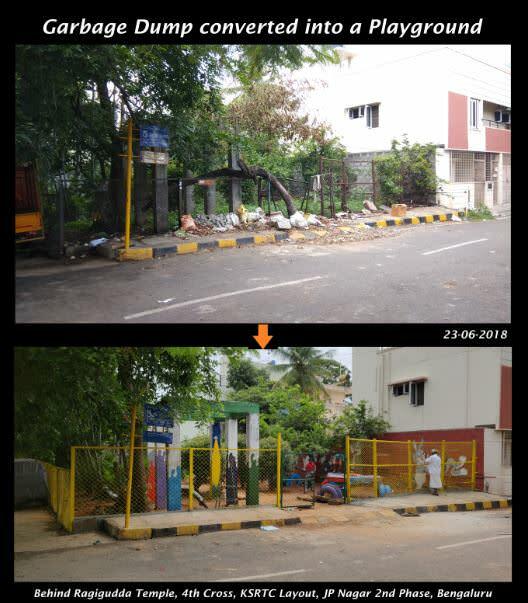 We will be using these funds to do more such beautification in Namma Bengaluru. We have held several events this year. We converted a government dumpyard into a playground for kids. 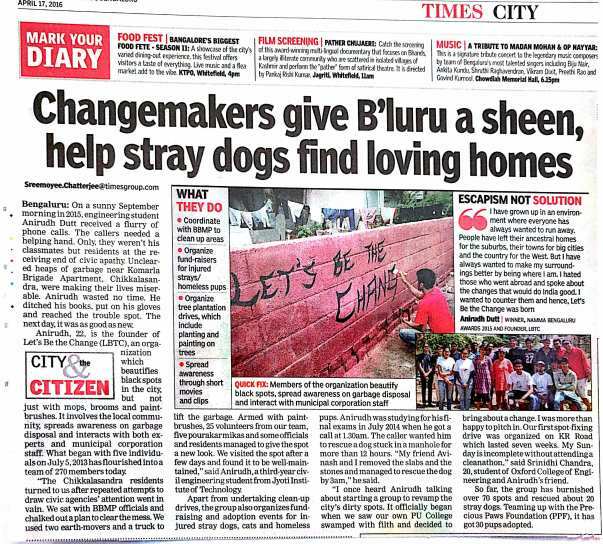 This was the first ever event of this kind in Bangalore. 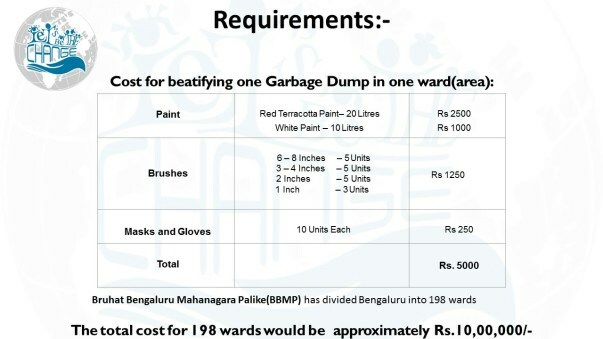 We are planning to utilize these funds for this particular event and also to do many such events in the near future. You can watch the Playground transformation in the link below. We would like to thank you for your contribution and also would like to invite you for our future events. We will be updating about our upcoming events.